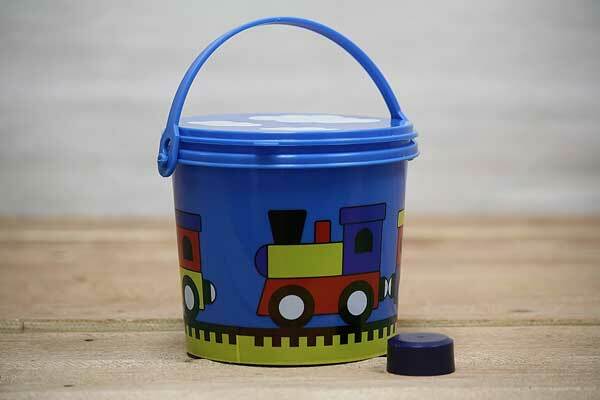 These tiny pails make adorable gift baskets for the child or train enthusiast in your life. Fill them with candy, small toys, or even use them as a centerpiece at a birthday party! Junior bug collectors will love the ladybug pail. We also sell a larger, clear pail that can be decorated however you like. Shop our complete line of buckets with lids here. View all small pails here.